Localz has signed a partnership with Janus Technology, a consultancy company which specialises in technology integrations for the smart home and commercial markets. We are very pleased to be working together with Janus Technology to explore what micro-location technology can do to support home automation and smart homes technology. Janus Technology has experience with major players in the residential automation control system market. Our new partner works with clients in the UK, Europe, USA and the Middle East on the development and consulting services. Their customers range from manufacturers needing the expertise to make their products easy to integrate and relevant to international markets, to integrators needing to create solutions from disparate products. Janus Technology has particular expertise in working with American-based manufacturers to make their products relevant to international markets. 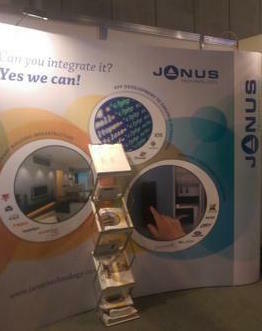 Janus Technology was quick to recognise the benefits of using micro-location technology to enhance home automation. Equipment in and around the home can be triggered by knowing who an individual is and where they are in real-time. Janus & Localz will be working together on a straight-forward solution for smart home dealers, combining beacons and other location technology. Janus expertise lies in integrating this exciting new technology into existing smart home systems for seamless operation. Martijn Verbree, Europe Director at Localz, says: "We have partnered with Janus Technology as they know how to integrate this technology for smart home companies, dealers and homeowners. We have been impressed by their vision for how micro-location can enhance home automation and their resourcefulness in applying it." Janus recently returned from CEDIA 2015 in Dallas, where the new solution received a positive endorsement from the home automation companies. The next few months will see Janus and Localz develop the solution ready for deployment in early 2016. Localz is looking forward to discovering what we can do together with Janus Technology. Want to find more about our IBM SmartCamp win?